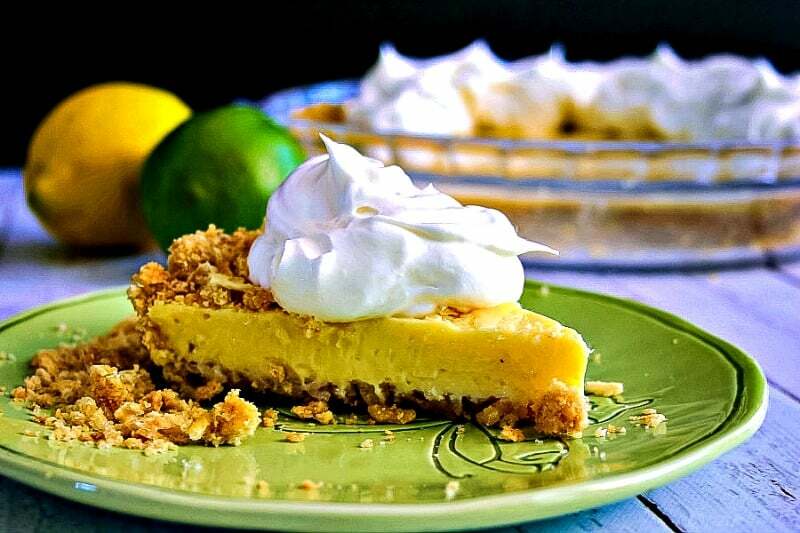 Made famous by Chef Bill Smith of Crook’s Corner restaurant in Chapel Hill, N.C., Atlantic Beach Pie is a delicious mix of creamy lemon-lime filling and a salty-sweet crust made from saltine crackers. The summery lemon pie filling is usually made with a mixture of fresh lemon and lime juices. However, if you prefer it can be made with just all lemon or all lime juice as well. Served with fresh whipped cream and a sprinkle of sea salt, this pie is also known as the OMG Pie as recounted on NPR’s All Things Considered Found Recipe series. Tangy and sweet, this delicious pie will leave you speechless! As I’m writing today’s recipe post, I’m daydreaming about being at the beach. Partly because Atlantic Beach Pie (duh! ) 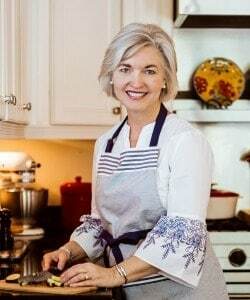 is a vintage recipe made famous at restaurants along the North Carolina coast and partly because I’ve been listening to Hillsong’s Oceans-Where Feet May Fail. 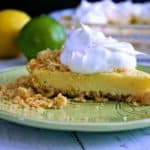 As for this pie, let me just say that it’s a delicious mix of creamy lemon-lime filling and a salty-sweet crust made out of saltine crackers! It’s just so crazy that it actually works! As for the ocean…how can you walk on the beach and not contemplate what’s out in the deep or keep from thinking about the awesomeness of God and his creation? The great unknown where feet may fail. In oceans deep my faith will stand. And keep my eyes above the waves. To crush the saltine crackers, you can use a food processor or place them in a large heavy-duty ziploc bag and crush with a rolling pin. Make sure the crackers are finely crushed, but not like dust. It is very important that the filling ingredients are mixed thoroughly and so that it does not separate during baking. For best results, chill the pie completely—make sure it is really cold—before slicing. Lemon pie fans will love this new twist on their traditional favorite. The salty crust is unexpected, yet Atlantic Beach Pie is the perfect mix of tangy, salty, and sweet! You’ll find yourself making this pie again and again! DID YOU MAKE THIS ATLANTIC BEACH PIE RECIPE? If you like this recipe, please do me a favor and give it a 5-star rating! 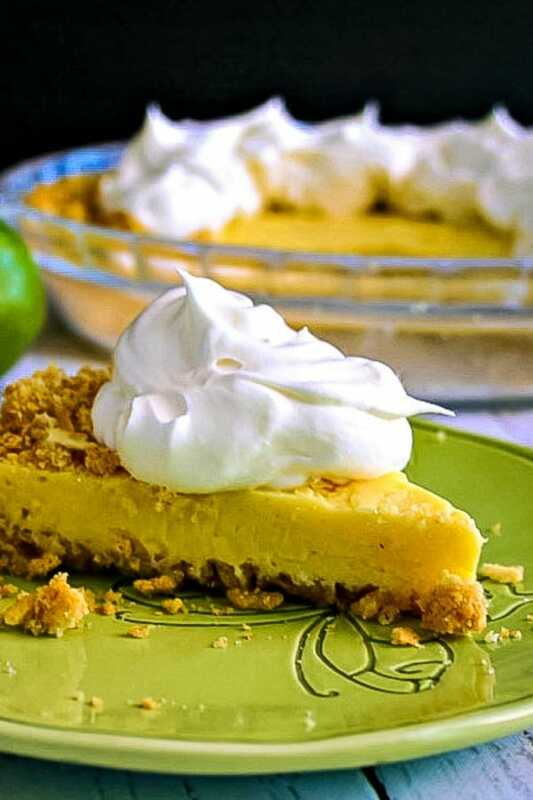 Atlantic Beach Pie combines a creamy lemon-lime filling with a salty-sweet crust. Garnish with fresh whipped cream and a sprinkle of sea salt for a refreshing Summer dessert. Bake the pie for 18 minutes, or until the crust is golden brown. Remove from oven to cool on a wire rack. Using a hand mixer, mix the egg yolks and milk together until completed combined. Add the citrus juice and mix again until completely combined. Pour the mixture into the pie crust. Return to the oven and bake for 16 minutes, or until the filling has set. Cool completely, then refrigerate for 2-3 hours before slicing. Serve with fresh whipped cream and garnish with a sprinkling of sea salt. Your Atlantic Beach Pie looks fabulous! Thanks so much, Carrie! 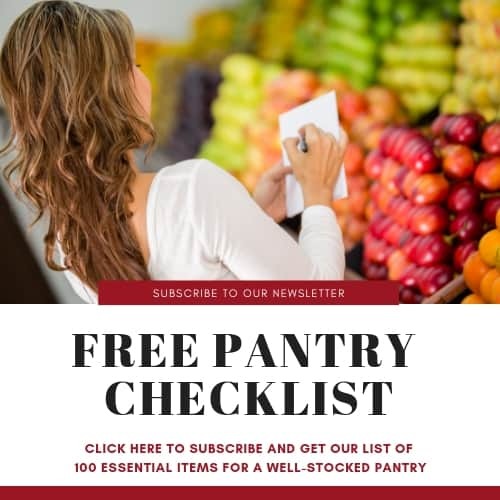 If you try the recipe, please let me know how you like it. Have a great weekend! I love this pie! It is my family’s favorite pie during the summer. If you don’t have saltines in your pantry you can use pretzels as a substitute; the pie is just as cool and delicious. My hubby loves it covered with sliced strawberries and a dollop of whipped cream. I think I’ll make one for dessert tonight. Thanks for sharing the recipe! Kristal, pretzels sound like a great substitute! I’m thinking I’d like to try that variation myself.